Islington Film Locations Map Launch | Lights, Camera…Islington! It is once month this week that Lights, Camera…Islington! was thrown into the spotlight. To celebrate this, here is a slightly different post. 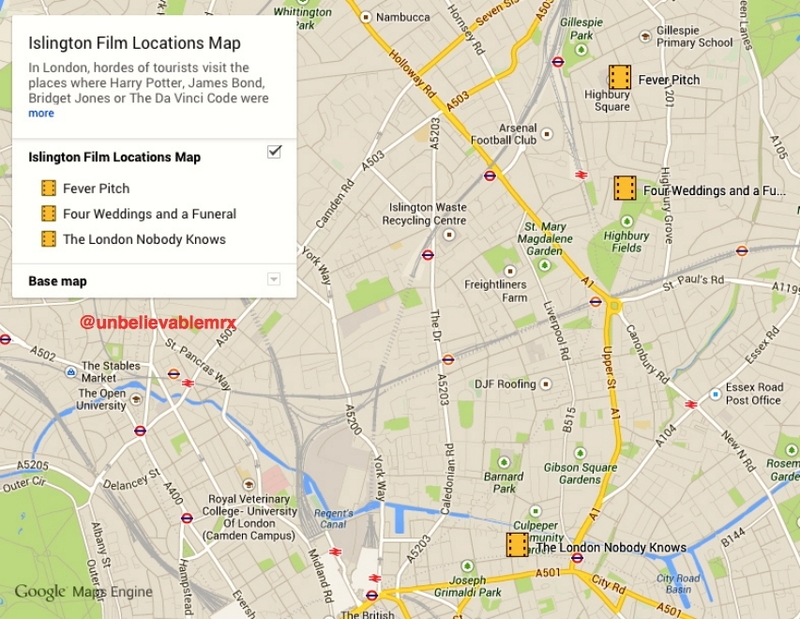 Not one about a movie location in the borough, but one about the Islington Film Locations Map I have started. 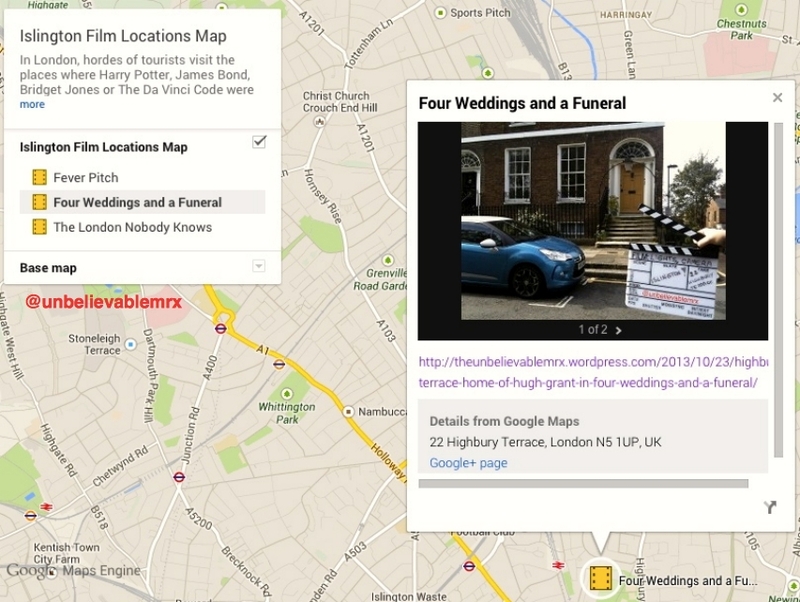 A link to the map will be available below each post in the ‘How to Get There?’ section, and via the ‘Categories Column’ on the right-hand side menu. Click on the link to get an overall map with icons spread around the borough. On the left, you’ll see a menu with the different film titles. Click on the one of your choice to go straight there or, alternatively, get closer to the icon or area of your choice, and a box will appear. Inside such box you’ll find a still of the scene, a picture of the location today, and the link to the relevant post…Et voila! Considering that Lights, Camera…Islington! is only celebrating its first month, there are understandably only a few locations at present. However, I am delighted to say that after spending many weekends going back and forth, up and down the borough, I have now gathered enough materials to publish a post a week for the next year or so. A BIG THANK YOU to all the Islington organisations, residents and other movie fanatics that have already got in touch with me willing to share their knowledge and open their doors. Glad to see that I am not the only one keen on the subject…When you think that a few weeks ago, I thought I would run out of materials after 3 months! Hope you get to make the most of the map as it expands and I look forward to seeing many of you with your smartphones, tablets and cameras discovering and enjoying Islington.